Diretta streaming: Exit! Il recesso dai trattati multilaterali. Jesner Et Al. v. Arab Bank, PLC: Closing the Door to Litigation Against Foreign Corporations Under the Alien Tort Statute? While international health cooperation has historically been an interstate endeavour, the acceleration of globalisation and the related decline of the importance of national states at the international plane gave rise to a plethora of new actors: it is no longer only states, but also international organisations, multinational companies, and non-governmental organisations that play an important role with regard to public health protection. For example, at the end of the 20th and the beginning of the 21st century, civil society actors were protagonists in the HIV/AIDS movement, while governments failed to respond adequately to the rampant spread of the pandemic (famous examples in this regard are the AIDS Coalition to Unleash Power (ACT UP) in the United States and the Treatment Action Campaign (TAC) in South Africa. The latter filed a seminal case at the constitutional court in order to ensure availability of a drug preventing mother-to-child-transmission of HIV (Minister of Health v Treatment Action Campaign (TAC) (2002) 5 SA 721 (CC), Case CCT 8/02). Furthermore, with the intensification of public-private partnerships, the private sector and hence multinational enterprises play an increasing role in international health cooperation. In this vein, WHO engages for example in various disease-specific collaboration projects with the pharmaceutical industry. Despite the ubiquity of new actors at the scene of global public health, the state-centred nature of traditional international law is still inapt to adequately include non-state actors into law-making processes and to address them directly as bearers of international rights and duties: the evolution of international treaties as well as of customary international law are largely dependent on states and do, in most cases, not envisage non-state actor’s participation. Hence, in order to include non-state actors as norm-creators and as bearers of international rights and responsibilities, innovative mechanisms of cooperation are required that move beyond traditional international law. 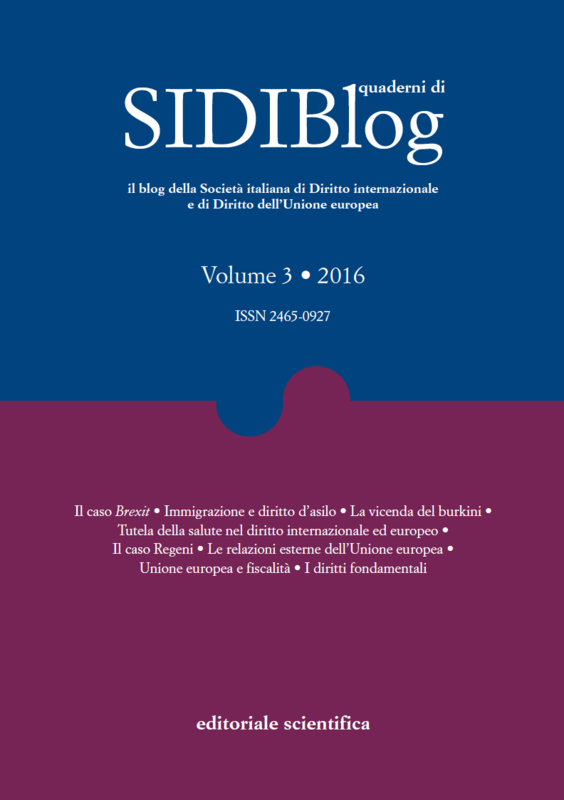 This contribution addresses the role of legally non-binding instruments (soft law) to mitigate the drawbacks of traditional international law and to facilitate the inclusion of non-state actors to international health protection, both in terms of enhanced law-making capacities and their inclusion as addressees. The latter point is particularly important with regard to the accountability and the responsibility of non-state actors. Main object of this investigation is the WHO/UNICEF Code of Marketing of Breast-Milk Substitutes (hereinafter: Code of Marketing), which constitutes an important example of a legally non-binding instrument that directly addresses multinational enterprises in order to promote and enhance public health protection. The contribution is subdivided in four parts: (I) The background of the adoption of the Code of Marketing is briefly discussed. This provides insights into the responsibilities of non-state actors for public health protection and the related tensions. (II) The drawbacks of the state-centred nature of international law will be canvassed, alongside with the potential of soft law instruments to mitigate these shortcomings. These points are illustrated with regard to the Code of Marketing. (III) The insights gained in sections (I) and (II) will be critically discussed, followed (IV) by concluding observations. The context of the Code of Marketing impressively illustrates that the intricate and multi-faceted nature of international health cooperation demands not only for the inclusion of states but of all relevant stakeholders in order to be effective. The debate that triggered the development of the Code of Marketing was launched in the 1970’s, when the worldwide trend to replace breast-feeding by infant formula turned out to have negative effects on public health. This was attributed to the superiority of breast-feeding over infant formula nourishment: breast-milk is seen as the gold standard for the first six month of infant feeding, since it perfectly meets baby’s nutritional needs and reduces, for example, the risk of infectious and chronic diseases. The infant formula industry played an important role in fostering the decline of breast-feeding. Especially in developing countries, multinational enterprises pursued aggressive marketing strategies in order to expand their market opportunities and to raise profit margins. They inter alia produced advertisements suggesting that nutrition through infant formula was superior and more progressive in comparison to the allegedly deficient breast-milk. These marketing practices were fiercely criticised when a causal relation between higher mortality rates and bottle-fed children was determined. Particularly Nestlé was in the focus of campaigns led by NGOs (with the NGO Infant Formula Action Coalition – INFACT as a prominent example) condemning the merchandising of infant formula. These campaigns culminated in wide-spread consumer boycotts of Nestlé products and in a famous report called “The Baby Killer” which criticised Nestlé for its unethical marketing practices of infant formula in developing countries. During the development of the Code of Marketing, the question of whether the Code of Marketing should be adopted as a legally binding instrument was subject to a contentious debate. The industry and some countries (especially the US) showed marked reluctance towards the adoption of a legally binding instrument, while others contended that the issue should be subject to a legally binding regulation under Article 21 WHO Constitution. This section of the contribution focuses on a special aspect of the debate, namely on whether legally non-binding instruments facilitate the inclusion of non-state actors to the process of law-making and as addressees. Firstly, it analyses the drawbacks of international treaty law with regard to the inclusion of non-state actors, alongside with the potential of soft law to alleviate these disadvantages (i). Secondly, it shows the implications of these insights with regard to the development and the content of the Code of Marketing (ii). (i) Despite the growing importance of non-state actors, traditional mechanisms of international law are still inapt to fully include them as norm-creators and as addressees. International legal personality, i.e. the possession of international rights and duties, has traditionally been attributed to states only. Although the circle of subjects of international law was incrementally extended to other entities than states, such as for example to international organisations and – partially – to individuals, non-state actors still have no formal possibility to act as norm-creating entities. This is reflected in the sources of international law defined in Article 38 ICJ Statute in conjunction with the state-centred approach of the Vienna Treaty Convention that defines a treaty as an “international agreement concluded between states [emphasis added]” (see Article 2 (1) (a) Vienna Treaty Convention). It is also visible in the requirements for the formation of customary international law: the two elements opinio juris and state practice are entirely dependent on state actions, whereas the role of non-state actors remains marginalised. Furthermore, traditional international law does not permit to address non-state actors directly. International law has traditionally been defined as a body of rules comprising the rights and obligations of states. This means that – with some important exceptions such as for example international criminal law – other entities than states are exempt from direct responsibilities to comply with international law. Contrastingly, soft law instruments are neither governed by the Vienna Convention on the Law of Treaties nor covered in the narrow definition of sources of international law defined in Article 38 ICJ Statute. Therefore, they allow to move beyond the narrow definition of subjects of international law. This makes it easier to include non-state actors as negotiating parties of international norm creation and enables international law-makers to directly address non-state actors. (ii) The theoretical propositions developed in the previous section can be applied to the Code of Marketing as one of the most famous soft law instruments issued by the World Health Organisation. Its development and the process of negotiation turned out to be highly inclusive towards non-state actors: non-governmental organisations played a crucial role during its the development. Furthermore, the infant formula industry also participated in the negotiations. The latter invoked the expectation that the participation of the industry in the development of the Code would increase its willingness to comply with the provisions set out in the instrument. The inclusion of non-state actors to the development of the Code of Marketing turned out to be advantageous, since it led to the adoption of detailed and significant provisions. Furthermore, the Code of Marketing of Breast-Milk Substitutes directly addresses multinational companies. The latter point is crucial, since this specific context demanded for the direct accountability of the infant formula industry in order to be effective. This section critically discusses the insights gained in the sections above. It thereby also sheds light on the general weaknesses of legally non-binding instruments. One famous and frequently expressed criticism on soft law is that its voluntary character makes it redundant: since it is not legally binding, non-compliance cannot be sanctioned and the regime of state responsibility does not apply. And, to phrase it in a rhetorical question: what weight does a soft law instrument have if it cannot be enforced and if non-compliance does not have any consequences? With regard to the Code of Marketing, this line of criticism is weakened by the fact that the instrument exerted considerable influence. The involvement of the infant formula industry in the process of Code negotiation and the possibility to address them directly has turned out to be beneficial in terms of effectiveness and compliance. For example, Nestlé committed itself to the implementation of the Code of Marketing and regularly publishes reports on its step taken to comply with the instrument. Furthermore, many provisions of the Code of Marketing were implemented to national legislation. It can also be contended that the inclusion of non-state actors through the use of soft law instruments is fostering power asymmetries. Facilitating the participation of different non-state entities at the international plane might imply the empowerment of actors that have the resources to participate in an international law-making process while neglecting all other actors. For example, multinational enterprises have more financial resources to participate in a negotiation process and to pursue constant lobbying than small and destitute non-governmental organisations. Again, this criticism seems not to hold true in the context of the Code of Marketing: as shown above, civil society organisations and multinational enterprises were equally involved in the process of Code negotiation. Small non-governmental organisations united to the International Baby Food Action Network that became a prominent voice in the promotion of breast-feeding. This contribution has shown the significant role of non-state actors to realise effective international health cooperation. It has further discussed a fundamental drawback of traditional international law: the state-centred nature of treaty law and customary international law neglects the fundamental importance of non-state actors at the international plane. Contrastingly, soft law is outside the confines of traditional international law and it therefore facilitates the inclusion of non-state actors as law-makers and as addressees. These assumptions could be largely affirmed with the example of the WHO/UNICEF Code of Marketing of Breast-milk Substitutes: civil society as well as multinational enterprises played important roles in the negotiation process of the instrument. Furthermore, the Code of Marketing directly addressed the infant formula industry, which had beneficial effects on their compliance with the Code’s provisions. Although the success of soft law instruments is largely dependent on their specific context, the example of the Code of Marketing serves as a promising guidance towards international normative processes that transcend the Westphalian state system and that are permeable to all relevant actors. Furthermore, it also shows that it is crucial to extend the circle of subjects of international law in order to ensure international accountability and responsibility of non-state actors. Hence, given the importance of non-state actors in the field of global public health, the use of soft law instruments can pave the way for successful international health cooperation.